Product prices and availability are accurate as of 2019-04-09 16:34:58 EDT and are subject to change. Any price and availability information displayed on http://www.amazon.com/ at the time of purchase will apply to the purchase of this product. 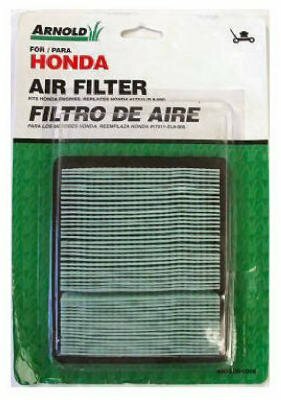 Replacement Paper Air Filter, Fits Honda 5HP - 6.5HP Vertical Shaft Engines, Model#s: GC135 & 160, GCV135 & 160 & GXV57, Replaces OEM#: 17211-ZL8-000.